MCKINNEY, Texas – March 7, 2017 – Sigmetrix, global experts in GD&T and mechanical variation, was selected by Haldex for their tolerance analysis solution. Haldex develops and provides reliable and innovative solutions that improve safety, vehicle dynamics and environmental sustainability in the global commercial vehicle industry. They are the world-leading supplier of brake adjusters for drum brakes and have the fastest growing market share for air disc brakes. 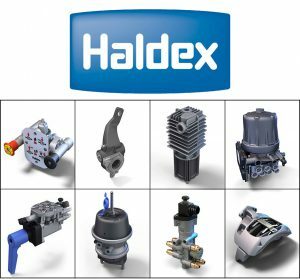 Haldex is a Sweden-based company that operates sales, R&D and manufacturing in 18 countries worldwide. Employees are encouraged to challenge conventional thinking every day to ensure that the products they deliver focus on safety, efficiency and uptime. They have unrivaled expertise when it comes to brake and air suspension systems for heavy vehicles. The Foundation Brake product line includes brake products for wheel ends such as disc brakes, brake adjusters and actuators. Air Controls comprises products that improve the safety and driving dynamics of the brake system, such as compressed air dryers, valves, ABS and EBS. The products are usually available in a range of versions for different geographic markets. CETOL 6σ provides product development teams evaluations of assembly variation early in the product development life cycle. The ability to see the impact changes can have on the overall assembly improves the viable product assembly designs and shortens development time. Precise calculation of surface sensitivities exposes the critical-to-quality dimensions in the assembly and accelerates optimization to achieve robust designs ready for manufacturing. For more information on CETOL 6σ visit https://www.sigmetrix.com/tolerance-analysis-software-cetol.htm. With more than 100 years of intensely focused innovation, Haldex holds unrivaled expertise in brake systems and air suspension systems for heavy trucks, trailers and buses. We live and breathe our business delivering robust, technically superior solutions born from deep insight into our customers’ reality. By concentrating on our core competencies and following our strengths and passions, we combine both the operating speed and flexibility required by the market. Collaborative innovation is not only the essence of our products – it is also our philosophy. Our 2,100 employees, spread on four continents, are constantly challenging the conventional and strive to ensure that the products we deliver create unique value for our customers and all end-users. We are listed on the Nasdaq Stockholm Stock Exchange and have net sales of approximately 4.8 billion SEK.